The Royal Institute of British Architects (RIBA) is pleased to announce today (Tuesday 28 November 2017) that Caring Wood by James Macdonald Wright and Niall Maxwell is the RIBA House of the Year 2017. The prestigious award is presented annually to the best new house or house extension designed by an architect in the UK. At a time when we are increasingly atomised, individually preoccupied and lost in personalised digital worlds, designing homes where families come together – in their many permutations – is an increasingly important aim. Whilst this might seem to be a particular brief for one extended family, it is one taking huge risks in asking how we collectively might live inter-generationally as social structures evolve. Here we find a family enjoying each other’s time and company, but also enabling timeless layers of support to emerge between generations. Grandparents and grandchildren exchanging experiences and enlivening each other’s sense of self, parents finding a place to catch up alone as children play. Siblings together with cousins, building the foundation for mutual support for years to come, the network that builds a strong society of mutual respect. This is a brave project offering a new prototype. In deploying homes that cater for extended families across urban, suburban and rural sites, this may offer solutions not only to the country’s housing crisis – where families might live together longer- but also by providing care solutions for young and old alike, freeing people from punishing costs throughout their lifetimes. 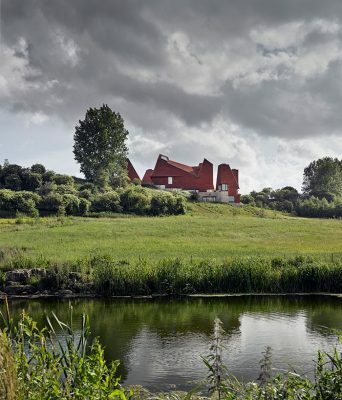 This unique house seeks to re-envisage the traditional ‘English country house’ in the 21st century to meet the needs of three generations of the same family. 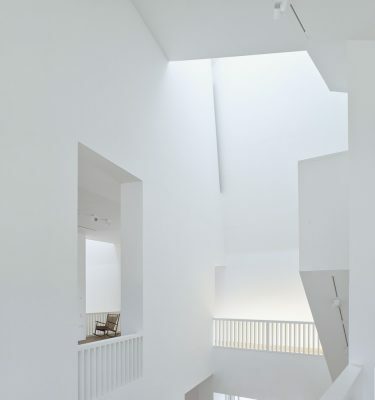 The jury was impressed with how Macdonald Wright and Maxwell had manipulated space and scale to balance the need for grandeur with intimacy – from the soaring spaces of the piano nobile to the living spaces partially embedded in the hillside below. As a result, the two architects have designed a house of over 1,400 sqm which nevertheless feels like a home. 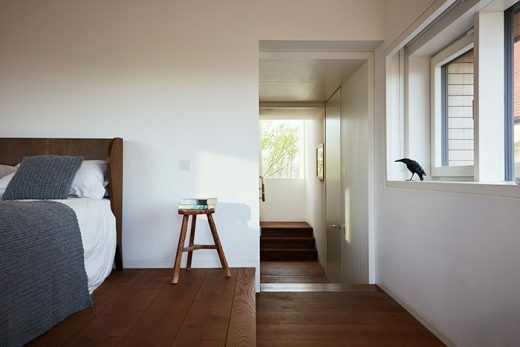 The house is modern but has clear links to the Kentish rural vernacular and local building traditions. 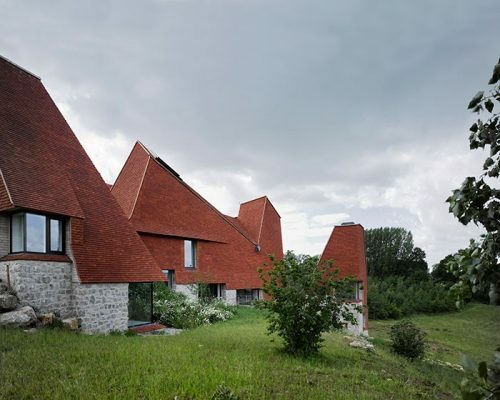 Externally, the form of the house uses the traditional oast house as a form generator which would have been used for kilning hops as part of the brewing process. On entering, there is a framed view of a traditional oast in the distance. The house comprises four towers with an interlinking roof and these are sentry points in the landscape with distinct personalities. The jury were also impressed with the quality of the build, the level of craftsmanship and the rigour of the pared-back palette of materials employed throughout. 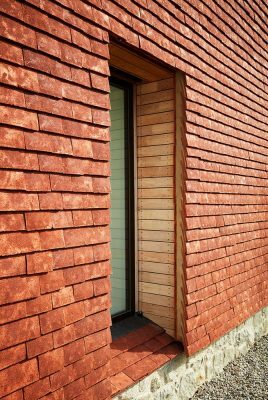 It is a composition of locally sourced handmade peg clay tiles, locally quarried ragstone and locally coppiced chestnut cladding. 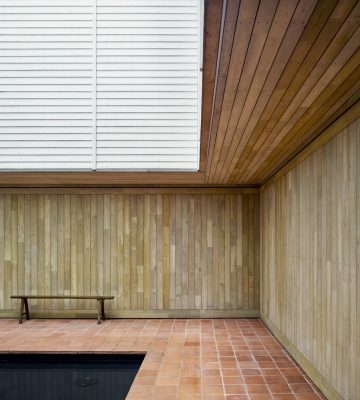 It is a rich, warm palette that ties the house to the Kent countryside and speaks of ‘place’. 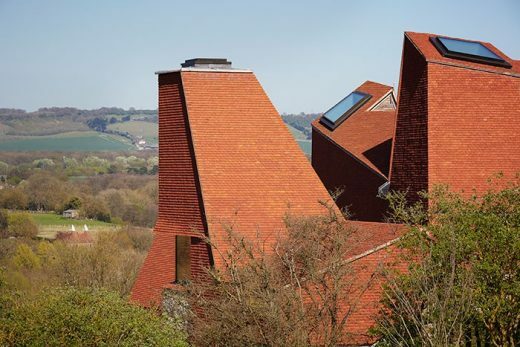 The towers together with the interlinking roof are clad solely in clay tiles, which the architect describes as a ‘tablecloth being draped over the terrain’. The simplicity of this visual device is very effective and the attention to detail in the way the roof is peeled away in places to acknowledge window soffits or other openings is exemplary. Internally, acoustics and manipulation of daylight are carefully considered. The extensive landscaping surrounding the house is still in its infancy, yet there is already evidence as to how this will help to seamlessly connect the house to its setting, a year or two from now. It provides a carbon neutral response to climate change. 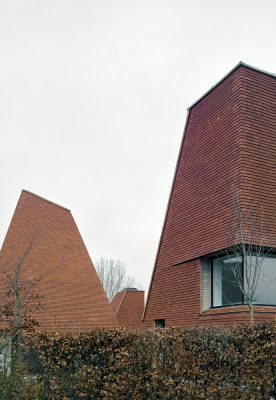 The form of the building was developed around a central courtyard with oast towers providing summer cooling by passive stack ventilation. Caring Wood’s sustainability is addressed through low energy design and the use of clean green technologies, and in the regional application of building form, material choices and detailing. This scheme is an ambitious project which seeks to re-envisage the “English country house” in the 21st century to meet the needs of three generations of the same family. The jury was impressed with how Macdonald Wright Architects had manipulated space and scale to balance the need for grandeur with intimacy – from the soaring spaces of the piano nobile to the living spaces partially embedded in the hillside below. 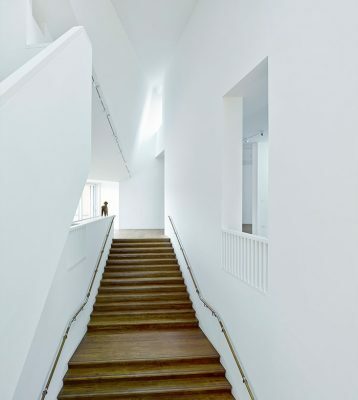 As a result they have created a house of over 1400 sqm which nevertheless feels like a home. The detail of how each space will be inhabited has been very carefully thought through. 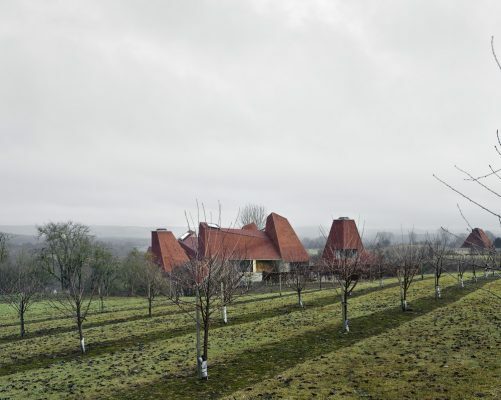 Caring Wood engages in the dialogue of critical regionalism: the design of the house is modern but with clear links to the Kentish rural vernacular and local building traditions. 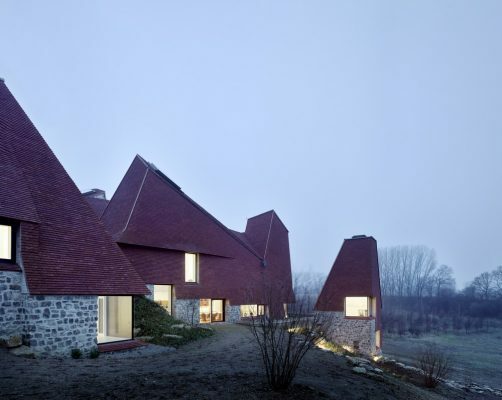 Externally, the form of the house uses the traditional oast house as a form generator – on entering, there is a framed view of a traditional oast in the distance. The house comprises four towers with an interlinking roof. This family of towers are sentry points in the landscape with distinct personalities. 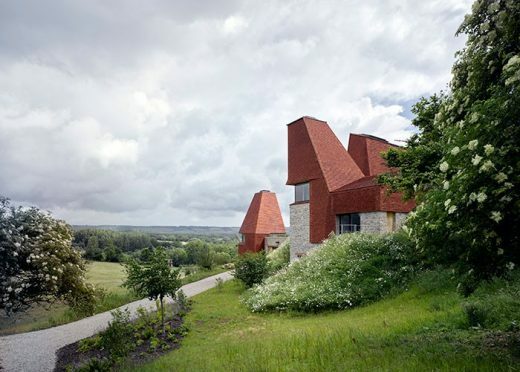 A conversation is set up both between the towers of the house itself and with those of the oast houses in the distant landscape, providing a tension to the overall composition.